When designing the XC90 T8, Volvo chose not to compromise on performance, driving pleasure, efficiency or even luggage space. By building on the new modular Scalable Product Architecture (SPA) platform and successful Drive-E petrol powertrain, the company has created a uniquely roomy 7-seater SUV that delivers 400hp/640Nm combined with ultra-low emissions of 59g/km (TBC). Pure electric: In this mode, when the high-voltage battery is fully charged, it serves as the car’s sole energy source, powering the electric motor over the rear axle. 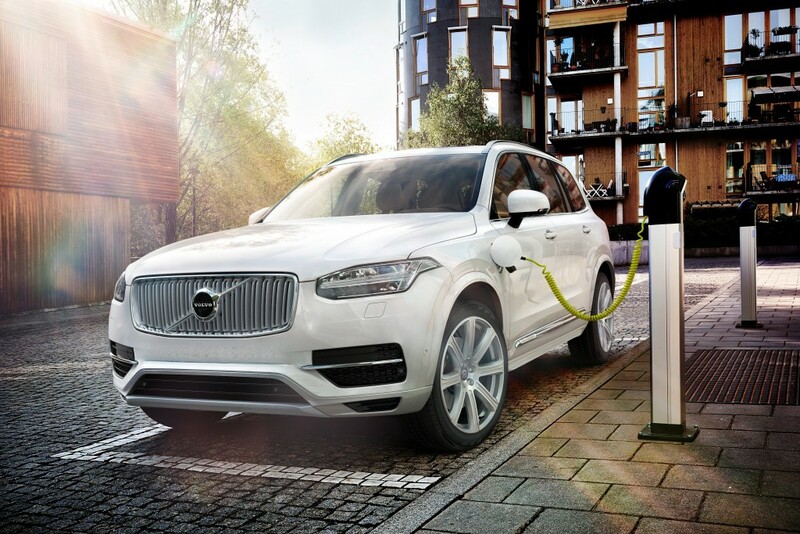 The XC90 T8 has a range of up to 25 miles using just electricity, which covers the total distance most people drive in one day. And thanks to the regenerative braking system, this mode is super-efficient in the stop-and-go traffic of city environments. If more power is needed, the Drive-E combustion engine starts up automatically. The XC90 T8 blended braking system partly uses brake-by-wire technology to recover and transmit energy back into the car, either to recharge the battery, or for immediate use. The system is also equipped with a unique stability function that controls the amount of energy that may be safely regenerated. This entry was posted in Car Updates & Releases, Eco Car, Electric Cars, Family Car, Low Emissions Cars, Luxury Cars, News and Views and tagged lease the new Volvo XC90, lease the Volvo XC90, Volvo XC90, XC90 hybrid by David Petherick. Bookmark the permalink.